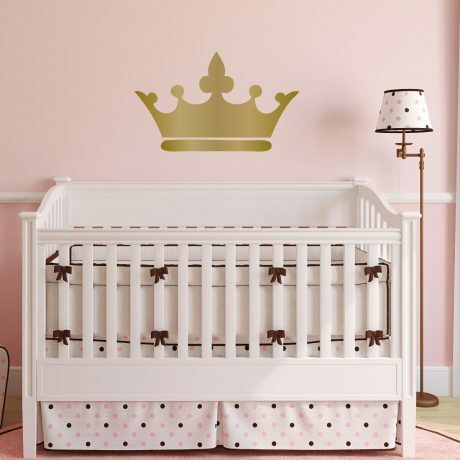 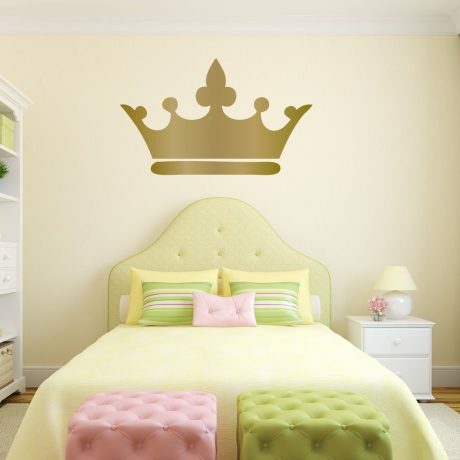 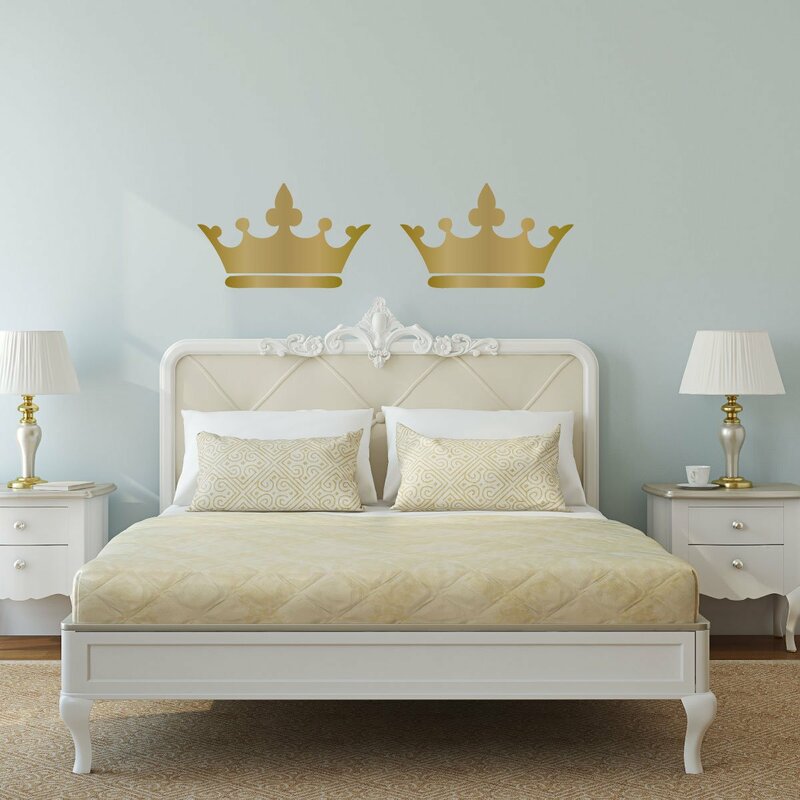 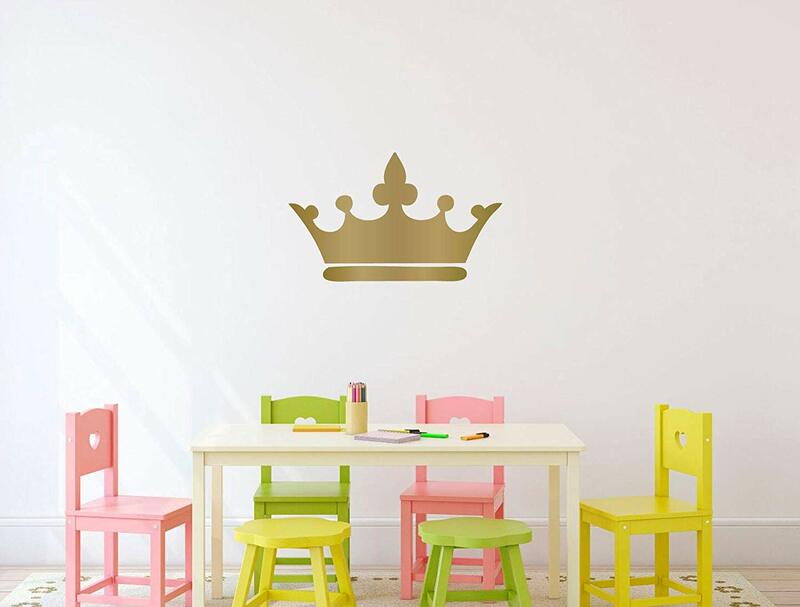 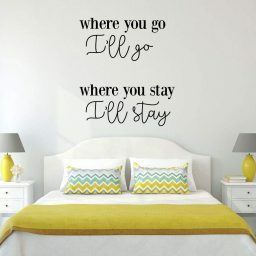 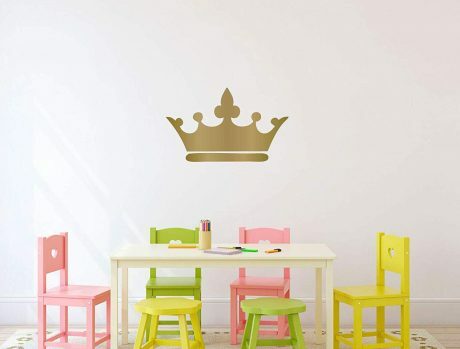 This crown wall decal is a popular decoration for women’s and girl’s bedrooms. 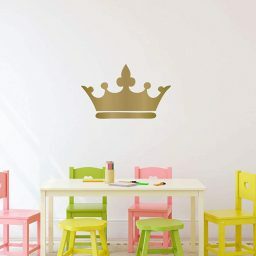 This royalty-themed vinyl sticker is also popular for kids playrooms, baby nurseries, and anywhere you want to convey the idea of a queen, a princess, or other nobility. 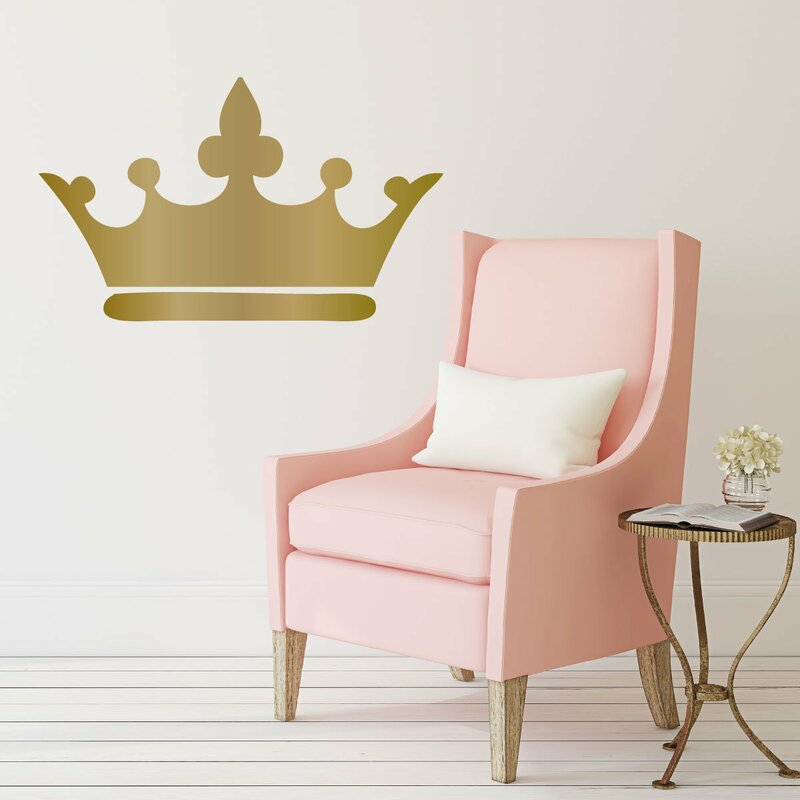 Buy one of our decals for yourself or give one away as a gift for an engagement or wedding celebration, a birthday, an anniversary, graduation, or as a Christmas gift.